One of my favourite discoveries this year has to be Flamingo Candles, whose natural soy wax candles are available in the most amazing scents. I've been lucky enough to get my hands on some of their Limited Edition Christmas range and boy, does it all smell good in my house right now. There are three new Limited Edition scents that Flamingo Candles have released for Christmas and I'm so thrilled to finally see a Chocolate Orange candle! Packaged in their iconic and utterly kitsch jars, the Chocolate Orange candle smells just like what you'd expect it too. If you're a fan of Terry's Chocolate Oranges and Costa's Orange Hot Chocolates, well of course you'll love this! The candles burn for around 50 hours and release a lot of scent into your room so they are perfect for using when entertaining guests or when family and friends are coming around over the holidays. These candles are so reasonably priced too so they won't break the bank if you want to pick up a couple for gifts or as a treat for yourself. Flamingo also do scent/wax melts in the same fragrances which are perfect for trying out before splurging on one of the candles. You pop them into your oil burner with a tealight underneath and let the natural oils scent your whole room. The two other scents in the Christmas range are Mulled Wine & Berries and Vanilla & Spice, and let me tell you - both are incredible. These would make any Christmas stocking smell amazing! 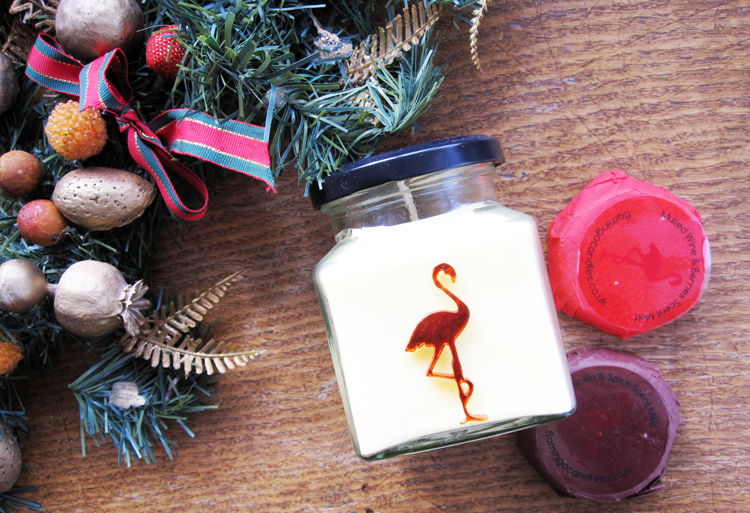 What's your favourite Flamingo Candles scent? I have a flamingo candle and it doesn’t actually give off all that much scent. But I do want to try another and this one sounds lovely.